Several supplementary tests can be carried out in order to fulfill standards requirements. We check equipment performance in terms of safety, resistance to harsh environments, fireproofing, etc. 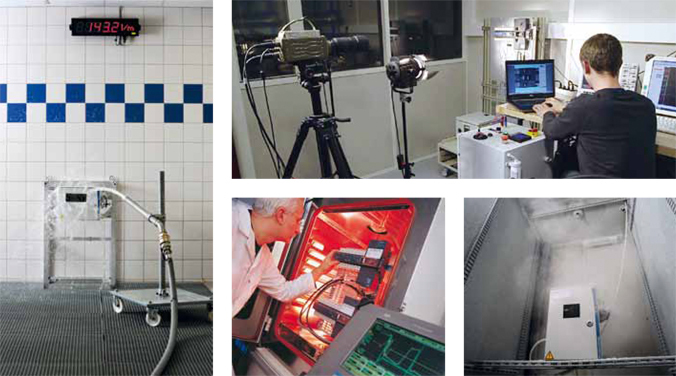 • environmental tests: Vibration, climatic chambers, etc. Supplementary tests are necessary to complete a full compliance with standards such as IP testing, mechanical movements analysis, dielectric tests, etc. All info about standards, equipements, etc.